Dr. Brighten and her team have a unique, team-oriented approach to healing that is unmatched in the traditional medical model. Dr. Jolene Brighten, ND started her patient centered clinic with the intention of educating and empowering every individual we treat. At Oakland Naturopathic, Dr. Brighten and her team get to know their patients and invite them to share their health journey. Every patient is treated as a whole person with thorough attention paid to details which may reveal the root cause of your condition. Through in-depth health history intakes and comprehensive testing, Dr. Brighten and her team help you to find and treat your root cause to restore your energy, improve you mood, optimize hormones and help you absolutely love your life. To learn more about specific services offered please click here. 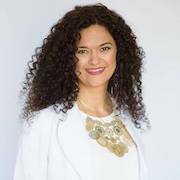 Dr. Jolene Brighten is a Functional Medicine Naturopathic Medical Doctor, herbalist, best selling author, speaker, and mother. Dr. Brighten is a renowned women’s hormone and autoimmune disease expert who takes a root cause approach to help women reverse disease and fall back in love with their life. She supports women struggling with hormonal imbalances, including adrenal and thyroid, autoimmune conditions, and digestive disorders. In her patient centered practice, Dr. Brighten thrives on navigating the space between conventional and alternative medicine, all while working with patients to help them achieve optimum balance, health, and happiness. Having developed Hashimoto’s following the birth of her son, Dr. Brighten is a strong advocate for the Hashimoto’s community, with special emphasis in fertility, pregnancy, and postpartum thyroiditis. 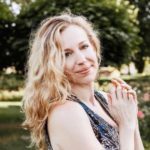 She is the Best Selling Author of the book, Healing Your Body Naturally After Childbirth: The New Mom’s Guide to Navigating the Fourth Trimester. She is a regular contributor to several publications and websites and lectures on the subject of Birth Control Pill side effects, including Post-Birth Control Syndrome, autoimmunity, and women’s health to both healthcare providers and the public. Check out her blog, or connect with her on Facebook, Twitter, or Instagram! Mallory Leone is Nutrition Consultant and Lead Nutritionist at Rubus Health. 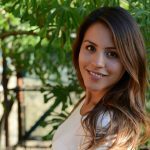 She holds a BA from San Francisco State University, has completed post-baccalaureate work in biochemistry, and holds certifications in Holistic and Sports Nutrition from Bauman College and Precision Nutrition. She's also certified to teach power vinyasa yoga and registered with the National Yoga Alliance. Mallory has trained extensively in Dr. Brighten’s unique protocols and has a particular passion for the mind-body connection and creating customized nutrition plans for each patient. When Mallory isn't geeking out on the latest in holistic nutrition, you can find her doing yoga, traveling, and hanging out with her yellow lab Whiskey. Check out her blog, or connect with her on Facebook, Twitter, or Instagram! Amy Eady is a Functional Medicine Lifestyle Educator who helps women struggling with hormone imbalances, including thyroid and adrenal dysfunction, PMS, PCOS, and other hormone related symptoms. Amy has experienced the first hand debilitating effects of hypothyroidism after her doctors surgically removed her thyroid, refused her replacement hormones, and dismissed her symptoms that resulted in her daily struggle with extreme fatigue and weight gain. When her doctors finally prescribed her medication she found that all of her symptoms didn’t just resolve. With doctors offering her little support, she turned to the power of diet and lifestyle intervention, which brought her greater energy, lasting weight loss, and improved fertility. She found her thyroid concerns being dismissed by her healthcare team once again as her hypothyroid symptoms came back with a vengeance during her pregnancy. It was then that she sought out the unique expertise of Dr. Brighten to aid in her thyroid condition and has been learning from her since. She continues to study under Dr. Brighten and is involved with all of her patient care. Amy earned her Doctorate in Nursing Practice at University of Tennessee, where she focused on family medicine. She has almost a decade of clinical experience and was a certified personal trainer prior to pursuing her career in nursing. 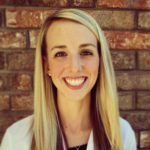 Amy received post-doc training in Naturopathic & Functional Medicine under Dr. Jolene Brighten and is Naturopathic Assistant in the state of California. She is a proud U.S. Coast Guard spouse and enjoys being immersed in the new cultures. She is a mother, dark chocolate lover, and can be found snuggled up with a good book in her free moments. 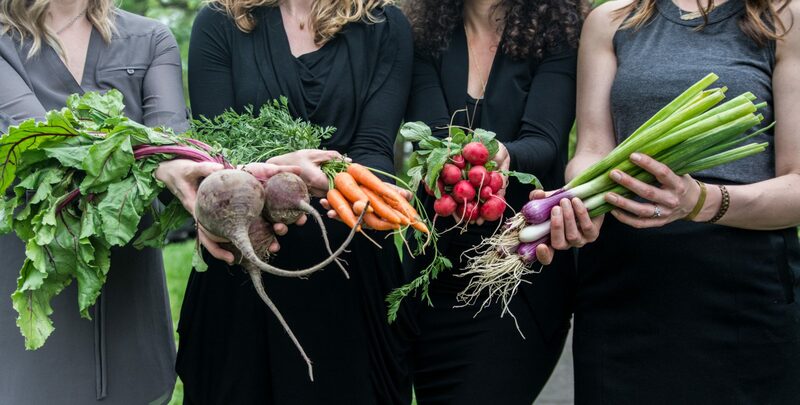 Erica Favela uses food and physical well being as the starting place for individuals to come into alignment with living the best version of themselves. Erica first discovered the benefits and limitless possibilities of plant based foods while studying at Living Light International Culinary Institute. Her horizons about food and nutrition expanded while becoming a certified Holistic Nutrition Consultant at Bauman College, and her personal journey with health continues to evolve. Passionate about women’s health, Erica co-founded Cherish.us where she shares her latest insights on nutrition and recipes for pregnancy and new mothers. As a former elementary school teacher herself, Erica also leads nutrition workshops for The Teaching Well, where she helps educators discover energy-giving foods. She is a huge advocate of sweating daily and serves as the resident nutritionist for Oakland Fitness Company. Erica currently resides in Oakland, CA with her fiance and five chickens. When not in the kitchen, you can find her running around Lake Merritt, dancing to salsa music, or practicing her newfound hobby of hooping.